As we sat around our conference table dreaming up ideas for our 5th Anniversary gown shoot, we knew we wanted something beautiful, glamorous and celebratory. When all the pieces came together, we were overwhelmed with all of the dreamy details that were perfectly captured by Sarah Kate, Photographer! 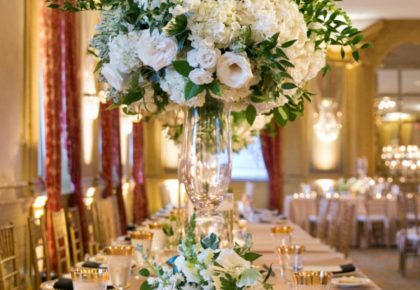 The historic Aldredge House in Dallas provided the ideal luxe location and with the help of the talented planners from DFW Events, a chic tabletop setting, lounge space and ceremony scene were set for the occasion. 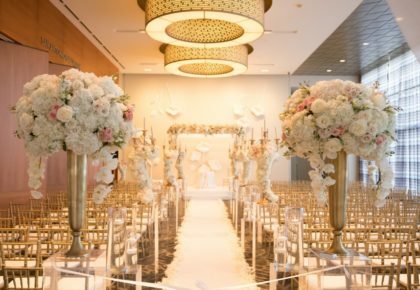 Fauxcades provided fabulous furnishings, the sleek table and dazzling chandelier, and the table would not have been complete without elegant flatware and chiavari chairs from Posh Couture Rentals and china from Dean Driver. Creme de la Creme Cake Company created a three-tiered, shimmering masterpiece and Southern Fried Paper crafted the oh-so-luxe stationery. Incredible florals from Stems of Dallas topped the table and were seen throughout the shoot. Our model Madison looked stunning with hair by Natalia Issa Hair and Makeup Artistry and makeup by Makeup by Wendy Zerrudo. 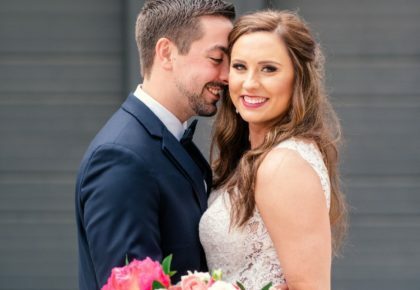 Her gorgeous attire came from some of DFW’s best bridal shops and the groom was outfitted in menswear from J. Hilburn and Stardust Celebrations. One of our favorite shots captured by the oh-so-talented Sarah Kate, Photographer, was the fun send off in the side car provided by Jorge and Charlotte Perez. 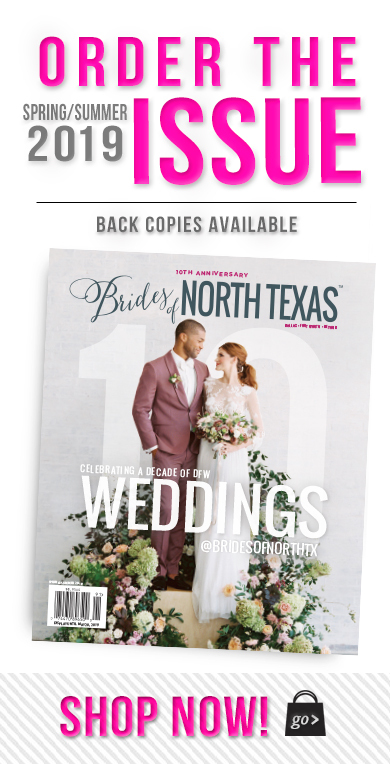 Enjoy browsing through even more beautiful images from our latest gown shoot by going to In This Issue and stay tuned as we share more editorials from our 5th Anniversary Issue on the blog! Be sure to watch the fabulous behind the scenes video captured by Hakim Sons Films!